a toll on the family. I've missed my usual baking and now I'm back with these Gluten Free Vegan Strawberry Lemon Shortcake Cupcakes. I love anything strawberry and lemon so why not a combo, so yummy! I hope you enjoy them as much as we did. Combine coconut milk and vinegar, let stand until curdled. In a stand mixer combine sugar, vegetable oil, vanilla extract, lemon extract, coconut milk, lemon juice, and strawberry puree, an lemon zest. Fill paper cups 3/4 full. In a clean bowl add shortening, butter, and powdered sugar. Add strawberry puree and lemon extract. 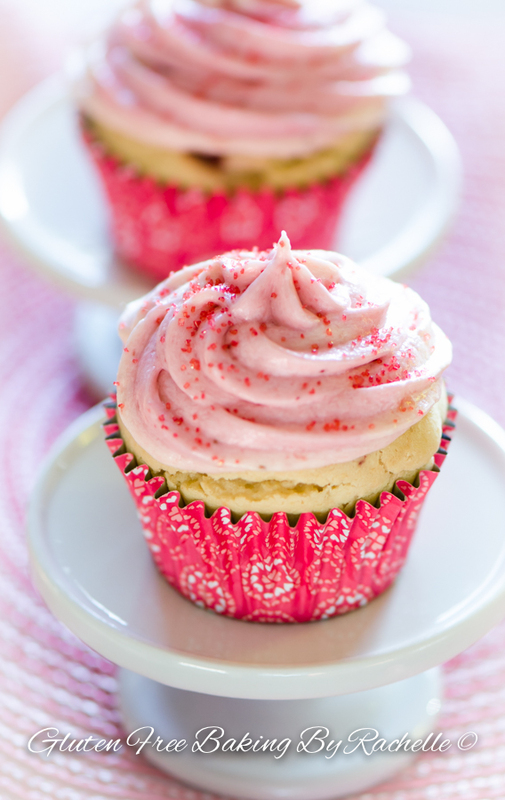 Your cupcakes are stunning and no doubt delish! 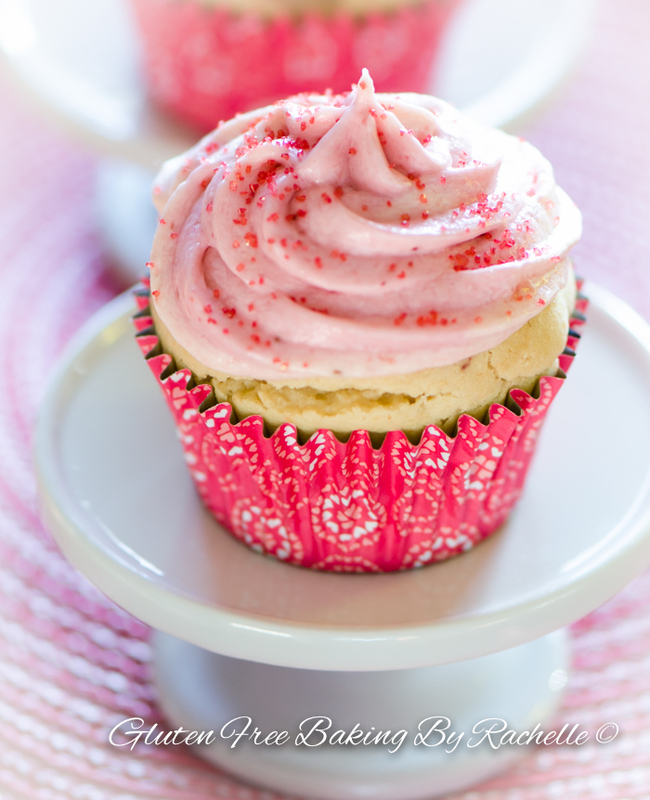 These are fabulous cupcakes and they just put a smile on my face because they are gluten free. I haven't heard of the gluten free flour blend you used and I am looking forward to giving it a try. Wow - beautifully presented and the recipe sounds delicious. Can you make these with other flours? Like Almond or Coconut? I am SO making this tonight. I wish I was home right now to try it.